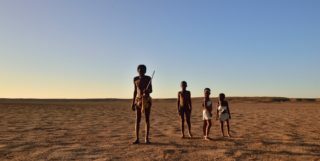 The Cape to Namibia Route stretches along the N7 through the Northern Cape province before meandering away from the national road to include various small towns, each with its own local flavour and a story to tell. The N7 highway stretches from Cape Town all the way through the Northern Cape to neighbouring country Namibia. Crossing from the Western Cape into the Northern Cape, visitors will encounter towns that capture the Nama heritage of the province. Slow down and appreciate the unique stories of the people of Garies, Kamieskroon, Springbok, Okiep, Nababeep, Carolusberg Steinkopf and Vioolsdrift. During spring, this route takes visitors into the heart of the floral kaleidoscope that is the Namaqua flower season. This route stretches over two South African provinces, the Western Cape and the Northern Cape, covering a distance of 1 478km to Namibia’s capital, Windhoek. Once travellers cross-sectioning along this route manage to conquer the Western Cape on the first part of this long journey, a stopover somewhere in the Northern Cape is a must-do. Northern Cape towns along this route offer a variety of activities and experiences and cater for adrenaline lovers and adventure seekers. Marvel at the floral splendour of the wildflower bloom in the Namaqua region every spring. A drive along the 4x4 Caracal Eco Trail in the Namaqua National Park includes wild and rugged roads through mountain passes and coastal drives. The park boasts an estimated 3 500 plant species, including many endemic species. 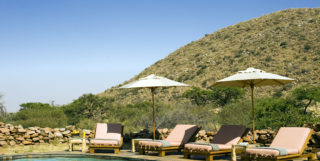 The Skilpad Rest Camp, located inside the Namaqua National Park, provides self-catering units. Tourists and locals who visit this area can explore the abundance of life forms in the park by enjoying hikes, walks and nature trails. For those who prefer to be at the sea, various camping facilities are available in the park and surrounding areas of Namaqualand. The settlement of Paulshoek is situated in the heart of the Kamiesberg and offers visitors a unique cultural experience. 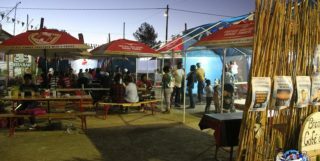 The cultural camp in Paulshoek offers insights into the lives of the people who live in the area. 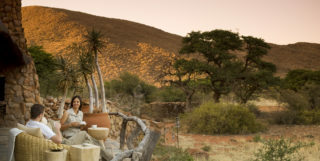 Matjieshuts (portable tents of the Khoi people) and traditional meals are available on request. Here visitors will gain insight into how these people moved according to seasons to find better grazing grounds for their herds of livestock, disassembling their matjieshuts and reassembling them again in fertile soil for the animals to thrive. The Springbok Inn Hotel has various accommodation options for guests, including, twin, single and family rooms. The hotel has 87 air-conditioned rooms and 25 camping sites. The Springbok Restaurant is popular in this region for its delicious steaks and burgers. Various attractions are accessible from the hotel with minimum driving required, such as the Goegap Nature Reserve, a mere 15km away. Activities to look forward to when staying at the hotel include fly-fishing on the Orange River; and trips with De Beers Diamond Coast 4x4 Tours that allow visitors the opportunity to access parts of the Diamond Coast that were previously restricted. The Goegap Nature Reserve – The Goegap Nature Reserve is about 15km south-east of Springbok and consists of typical Namaqualand vegetation. Here you will also find the Hester Malan Wildflower Garden. For bookings, contact +27 (0)27 718 9906 or email goegap.jonk@telkomsa.net. Drive the Cape flower route, West Coast and Namaqualand – The wildflowers of the Cape West Coast and Namaqualand are regarded as a botanical wonderland. Tourists, photographers and botanists are attracted to this spring spectacle. For bookings, contact +27 (0)73 651 8833 or email mail@richtersveldtours.co.za. Diamond Coast Shipwreck Eco-Trail – If the dramatic shipwrecks along the Northern Cape coastline are your thing, there are organised tours such as hikes or a 4x4 trips through the coastal dunes forming part of the historic shipwreck trail. For bookings, contact +27 (0)76 642 0868 or email info@namaquacoastal.com. Fly-fish on the Orange River – These tours provide the perfect spots to test your skills with a rod and some line and get some quality fly-fishing in on the majestic river. For bookings, contact +27(0)82 800 1677 joe@catfishjoe.co.za.